The best free 3D Slot machines are here! Play one, play all - you won't be disappointed. We all know that Casino Slots are tons of fun to play. And one of the reasons for that is all these inventive developers who have pushed the medium to its limits. By taking the humble seaside-arcade fruit machine and making it into one of tens of thousands of games that all have their own setting, storyline, and way of working. When you play free 3D Slots, you’ll see they are the most innovative of all Casino games. And it's no surprise because they use cutting-edge graphics to make you feel like the characters in the game are almost real. It’s a truly cinematic playing experience. I can assure that, whichever game you choose, you’ll be transported to another dimension by the meaningful story and crystal-clear visuals. 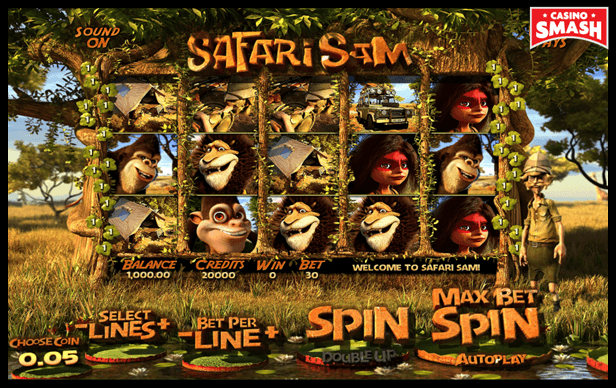 And here are the best free 3D Slot machine games currently available to play online. I'd love to hear what you think of the games, so give them a try, and let us know if you enjoyed them as much as we have. 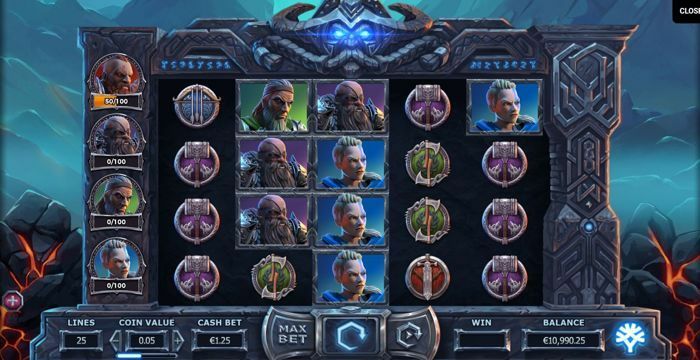 We can’t have a list of the best 3D Slots online without at least one title from Yggdrasil, one of the best Slot developers of the online gaming industry. Cazino Cosmos is one of their newest games, and get ready to love it if you’re a fan of steampunk, sci-fi movies, and beautiful art. Jaw-dropping theme aside, this Slot offers up to 20 free spins (with the chance to retrigger them), sticky Wilds, and collectible Wild symbols that result in free spins. Vikings Go to Hell is one of those 3D Slots you would find at almost any online Casino, and with a good reason. Also, the sound effects and visual effects are outstanding throughout all your gameplay - not just at the beginning. 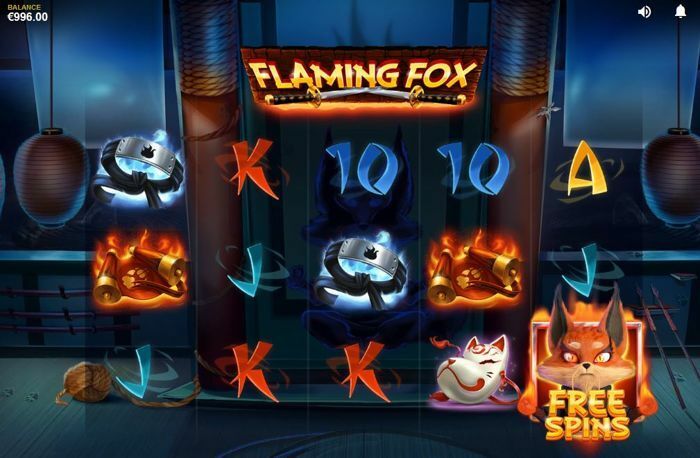 One of the most fun 3D Slots with no download is Flaming Fox by Red Tiger Gaming. It is an Asian-themed free game with stunning visuals and some features that are quite unusual for a Slot machine. For example, you will get paid for wins from both ways. Usually, Casino Slots pay from left to right, and this feature might allow for more winning combinations. Also - all you need to do is to collect at least three Scatter symbols - and a set of free spins is yours. EggOMatic is one of the best-looking video Slots out there. Yet, that really shouldn’t come as a surprise when you consider it was developed by NetEnt, a software house known for pushing the envelope graphically with its games. 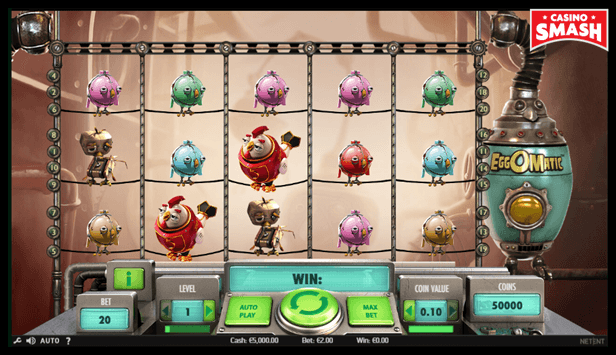 In this particular Slot, you are in a robot-powered egg factory, where production isn’t hitting its usual targets. Your job, should you choose to accept it, is to get those eggs out on the reels, so that the Wild Rooster, if he appears on the reel, can crack open the eggs to reveal your prize. This is a five-reel, 20-payline Slot that has traditional underpinnings, but the sheer off-the-wall story marks it out as a cut above the rest when it comes to 3D Casino Slots. Finn is a leprechaun sitting at the end of the rainbow in an alternative, cartoon, Ireland. 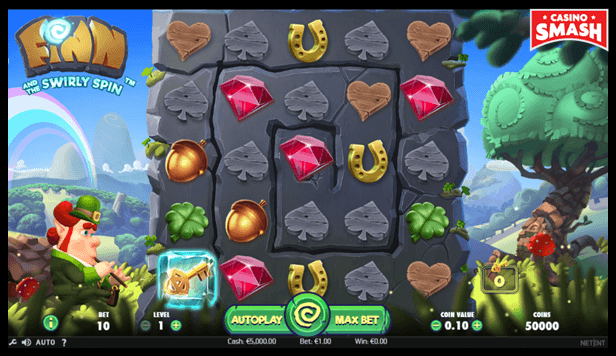 The game features a whole host of involving bonus mini-games in various locations, with the aim being to find that pot of gold. It’s an entertaining game, thanks to hilarious visuals, including Finn. He helps you from the side of the screen, and holds the secret to the brand new mechanics the game has. Rather than static reels, this game has a rotating stone play area, where symbols move inwards. 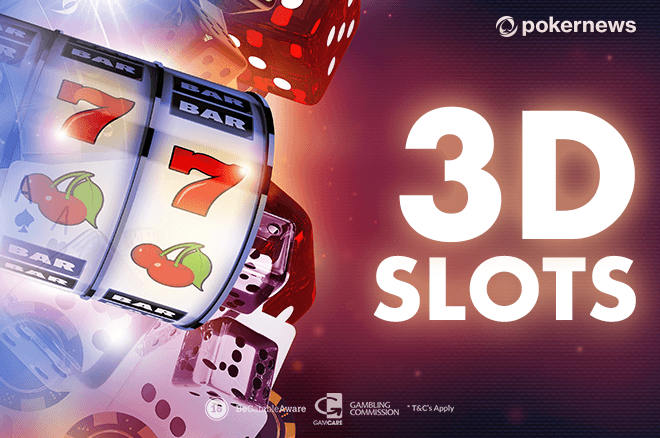 This means that there are always multiple chances to win prizes, which will appeal to both experienced and new 3D Slots players. 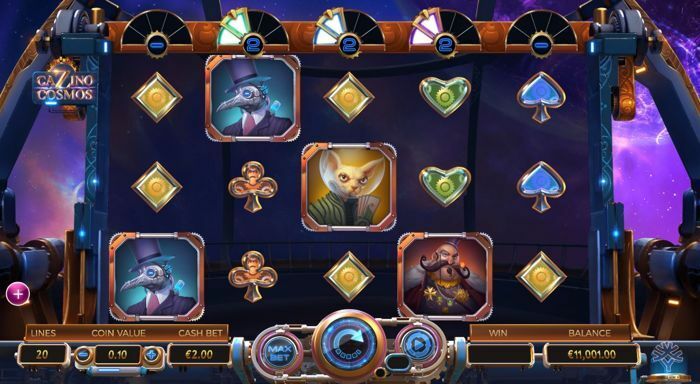 There are 720 ways to win this excellent 3D Slot game, which has some pretty unconventional reel setups too - that 3-4-5-4-3 formation will take some getting used to, but is potentially very rewarding to you. 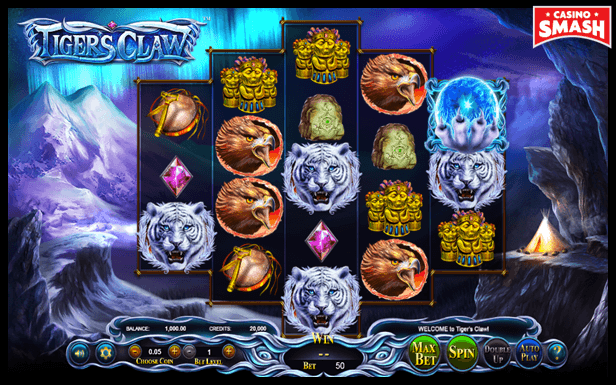 If you find the golden Tiger’s Claw, then 240 free spins are yours. And that’s not something to be sniffed at, bringing you huge numbers of chances to scoop top prizes, with a 95.16 percent RTP. Safari Sam likes to think he rules the plains of Africa, and that he is the gamekeeper who knows everything that goes on. But in this entertaining game, you’ll see that’s not always the case. The local girl who keeps on surprising him as he watches the scene next to the reels is a pretty good indicator that he still has a lot to learn. This is a fast-moving Slot, with collapsing symbol stacks, plus random multipliers that are hidden everywhere. The 3D Casino Slot has five reels and 30 paylines, and it’s destined to make an impression each time you play it, with a fine combination of enduring gameplay and comedy that really works on the screen.